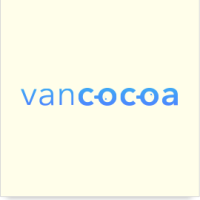 Join us for the next VanCocoa featuring Alejandro Isaza of Hootsuite and Jenn Cooper of Steamclock. Alejandro will discuss the disconnect between developers and designers, and demonstrate C4 Studio, a solution to bridge that gap. Jenn will give a lightning talk on a particularly stubborn iOS problem she solved using OpenGL. The event is at the VFS animation campus across from Woodwards, located at 151 West Cordova Street, in Theatre 106.